The University of Texas at El Paso (UTEP), in partnership with the Texas Holocaust and Genocide Commission (THGC), offers online professional development modules designed to provide faculty with effective strategies to improve the integration and teaching of ethics into the core curriculum across disciplines. 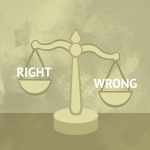 The modules are designed for faculty who may or may not be trained in ethics as a field of study, and they can be scaled for use in any class size. The four modules can be integrated effectively into face-to-face, tech-enhanced, hybrid, or fully online delivery formats. The University of Texas at El Paso (UTEP) invites you to participate in 14 online instructional modules that provide ideas on teaching reading comprehension for college-level faculty. 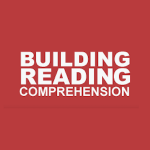 These modules offer insights into reading difficulties as well as effective strategies to improve reading comprehension in college courses across disciplines. The University of Texas at El Paso (UTEP) offers "Understanding Data Analysis" online professional development modules. These modules present statistical tools and information so that educators are able to make informed decisions utilizing readily available data. The modules include references to data that educators have to utilize frequently to make decisions such as student demographic information and results of high school or college entrance exams. In addition, some of the modules present scenarios that are common to educators. 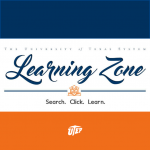 Skillport - UT System Learning Zone is a free online tool available to UTEP Faculty and Staff. This tool provides you with a wide range of flexible online training opportunities. The TOA focuses on the delivery of online course content, the uniqueness of online pedagogy, and online teaching methods. This asynchronous course is completely online and is not self- paced, but rather follows a weekly schedule.